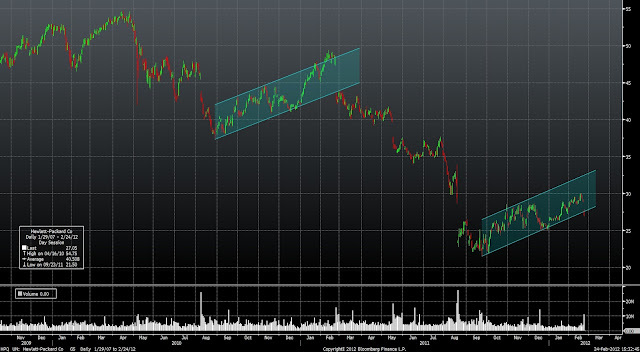 A daily chart of the Hewlett-Packard Company shows a bearish trend in the last years. 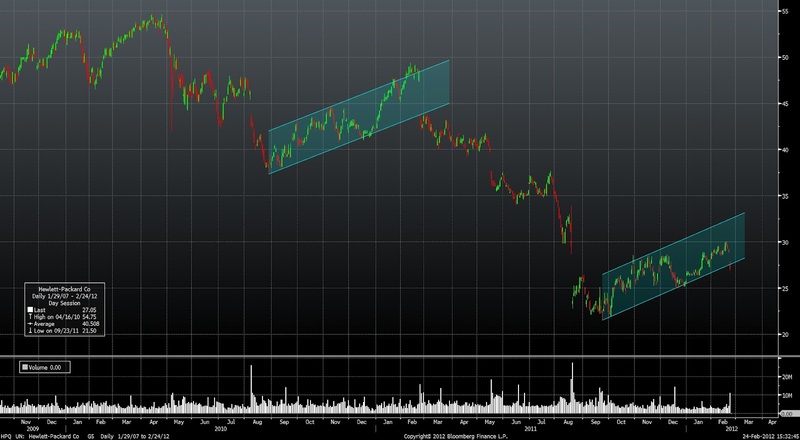 Moreover, the bullish channel between August 2010 and February 2011 signaled a continuing bear trend as soon as the price broke below its lower border in late February. The same scenario seems to take place now: the bullish channel started in late September 2011 was broke yesterday and the bearish trend has a high probability of continuation.